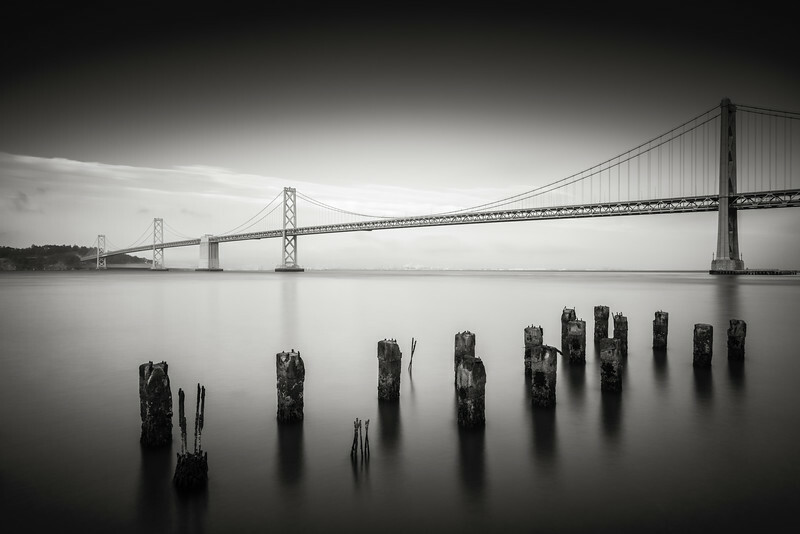 The San Francisco-Oakland Bay Bridge. A long exporure taken at dusk using the Lee Big Stopper ND filter. Converted to Black and White using the doomed Silver Efex Pro 2 software.